Depending on how far you have to travel, it should take you about an hour to set up your business banking account. Read carefully so you’ll be prepared to cash-in on your upgrades. Banks give more than just free suckers. If you already have a personal banking account and you’re happy with it, set up your business account with that bank as well. It’s nice to have both accounts in the same place. Oftentimes, they’ll connect the two accounts so you can access both from the same online banking account. or you can bank with your local credit union. Click to find a local branch. Every time I visit, I’m greeted by a friendly staff (no matter what branch). I’ve made several mistakes that led to fees, and they went back and “corrected” them. The only fee I have is $12.50/year to be a part of their rewards program. Online banking is a breeze. 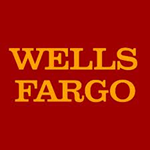 They are nationwide so you can always find a Wells Fargo no matter where your business takes you. You can set up a business banking account online, but that’s like meeting your new best friend on the internet and only interacting with them through Twitter. You’ll want to develop a relationship with your banker because they can pull a lot of strings. Gather your official documents (LLC and EIN) and two forms of identification. These will help your business banker set up your account and you’ll need to know your EIN. If you’re under 18, gather a parent or guardian to co-sign on the account. If you’re setting up an account with a new bank, make sure you have at least $100 (cash or check) as your initial deposit into your business banking account. Go to the bank and ask to talk with their business banker. Introduce yourself with a firm handshake and tell them about your new business. The banker will recommend the best banking option for your business. If there are any monthly or annual fees, ask what you can do to waive the fees. Ask if you can get a free set of starter checks. Banks will give you all sorts of free upgrades if you just ask. If you’re going to physically accept your customers’ credit cards, ask about their merchant account options and what they recommend. If you’re just starting out, hold off on the merchant account. They’re pricey. When they finish setting up your account, thank them and make sure you get their business card. Put their phone number into your phone. You’re going to call your banker when you see unexpected fees and they’re going to “correct” those. If they don’t, switch banks. Grab a sucker on the way out. *Even though our recommendation is Wells Fargo, you can use these exact steps at any bank. When you first open your business account, make a deposit from your personal savings that’s large enough to cover your startup costs. Treat this initial deposit as a loan from yourself to your business with the intention for your business to pay back that loan once it becomes profitable. Every time you purchase something for your business, use your business debit/credit card. Otherwise it will be nearly impossible to separate your business and personal expenses. And itemizing tax write-offs will be a nightmare. You don’t want to miss-out on those tax write-offs!